After a long cold winter, the weather is finally starting to warm up and we are ready to play some golf in support of The Barbara Bush Children’s Hospital! Portland Sea Dogs Slugger Open- Friday, July 21st: The first golf tournament of our 2017 summer season is the Portland Sea Dogs Slugger Open on July 21st at Sable Oaks. 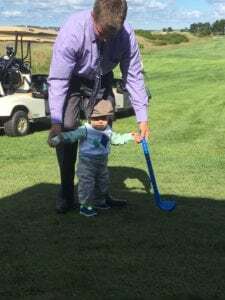 This is a fantastic tournament that allows you to play golf with your friends and co-workers in the morning, and cap the day off with your family at a Sea Dogs baseball game, all while raising funds for BBCH! All participating golfers in this event receive a Slugger Open golf shirt, Portland Sea Dogs golf balls, an opportunity to play with Red Sox minor leaguers, boxed lunches and on course BBQ, prizes, and even a chance to win a new car! Who would want to miss out on that? Children’s Miracle Network Hospitals Golf Tournament Presented by Walmart- Monday, July 31st: The 13th Annual CMN Hospitals Golf Scramble will once again take place at beautiful Martindale Golf Course in Auburn on July 31st. Join us for a day on the green including breakfast, lunch, awards and much more- all to benefit the children at The Barbara Bush Children’s Hospital. Click here for more information regarding this scramble, or contact Kelly Cates, Walmart tournament organizer: Kelly.Cates@walmart.com. 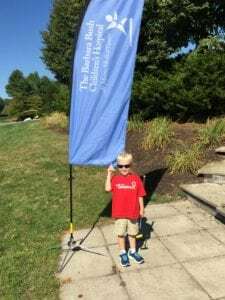 CMN Hospitals Golf Scramble presented by Southern Maine Ace Hardware Dealer- Friday, August 25th: Join us for the 3rd annual tournament at Sable Oaks, hosted by our friends at Ace Hardware! This year’s event is sure to sell out so don’t miss your chance to join in the fun and support Maine’s only children’s hospital. Registration includes cart, snacks, player gifts, lunch, prizes and more! Sponsorship opportunities are also available! Please click here for more information or to register. 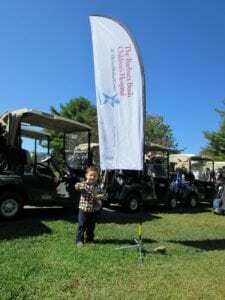 Stefano Nappi Memorial Golf Tournament- Sunday, September 10th: Year after year this event, hosted by the Nappi family, provides funds to support many special services for patients and families that otherwise would not be possible at BBCH. Teeing off on Sunday, September 10th at 8am at Riverside Golf Course, this fun-filled tournament wraps up with a lunch reception at Bruno’s Restaurant. For more information or to register, click here. BBCH Open- Thursday, September 14th: To wrap up our golf season, we have our annual BBCH Open on September 14th at the Boothbay Harbor Country Club, Prouts Neck Country Club, and The Woodlands Club. Last year’s tournament sold out – we had 84 teams sign up! This tournament includes 18 holes with cart, one mulligans, lunch, course beverages, quality player gifts, and an awards reception. Please visit the event page for more information or to register. We hope to see you out on the greens this summer supporting our local CMN Hospital, The Barbara Bush Children’s Hospital! Previous post: International Tabletop Day: Gaming for BBCH!